Dr Doroodchi, an early career researcher, began her PhD studies at the University of Newcastle (UoN) in 2001 after completing her undergraduate studies at the same university with a 1st Class Honours and University Medal, as well as, several other prizes including: the Newcastle University Dean's Medal, 2000, the Institution of Chemical Engineers Prize, 2000, and Deans Merit List, 1998-2000. Dr Doroodchi was awarded an APA Postgraduate Scholarship in 2001 to pursue her doctoral studies. This was followed by a Visiting Postgraduate Fellowship by the Vienna Institute of Technology (Austria) in 2004. Upon completion of her PhD studies, Dr Doroodchi was awarded a prestigious and competitive Research Fellowship by the UoN. In 2005, the collective efforts of Dr Doroodchi and her colleagues in developing the Reflux Classifier was recognised when Prof Galvin accepted a national award on behalf of the group (National Award, 2005, Business / Higher Education Round Table). The Reflux Classifier since then has been commercialised and marketed to various national and international mineral processing companies. Although an early career researcher (PhD October 2005), Dr Doroodchi has established a strong track record since joining the Discipline of Chemical Engineering as a Research Fellow. In collaboration with her colleagues in Chemical Engineering, she has been able to secure a total funding of $2,900,000. Also, she has been able to sustain a steady record of quality publications and managed to publish (total of 17 papers) 7 refereed journal, 10 peer reviewed conference papers and 2 patents over the past six years. Apart from her research activities, she has also actively participated in a range of consultancy projects primarily concerned with energy and combustion. Through these, Dr Doroodchi has made significant contribution in solving problems of practical importance to the local industry. Dr Doroodchi's research is underpinned by the two general areas of fluid mechanics and particle technology with the main focus being on the fundamental and applied research into multiphase systems. Specifically the research has focused on hydrodynamics of fluidized beds, and solid particle, droplet and bubble motion in fluid. The research carried out by Dr Doroodchi has involved a combination of novel and conventional experimental measurement techniques (e.g. Particle image velocimetry) and theoretical modelling (e.g. Computational fluid dynamics). In all cases, the fundamental understanding of the interaction between the phases is obtained under conditions relevant to the actual industrial-scale and subsequently has been applied to the engineering design of multiphase systems such as particle classifiers, separators and mixers. Dr Doroodchi has recently applied her knowledge in the fields of multiphase flows and particle technology into the emerging field of microfluidics which has numerous novel applications in medicine, engineering and life sciences. The studies include processing of nano-particles in microdevices, emulsification process in micro-reactors and mixing in micro-channels. The focus is on developing techniques to enhance phase interactions at micro-sized channels. Dr Doroodchis contribution to fluid mechanics of energy systems has led to the development of a novel power cycle for generation of electricity from geothermal resources and the use of waste heat for desalination of brackish water. Dr Doroodchi has voluntarily contributed to the teaching activities of Chemical Engineering Discipline. 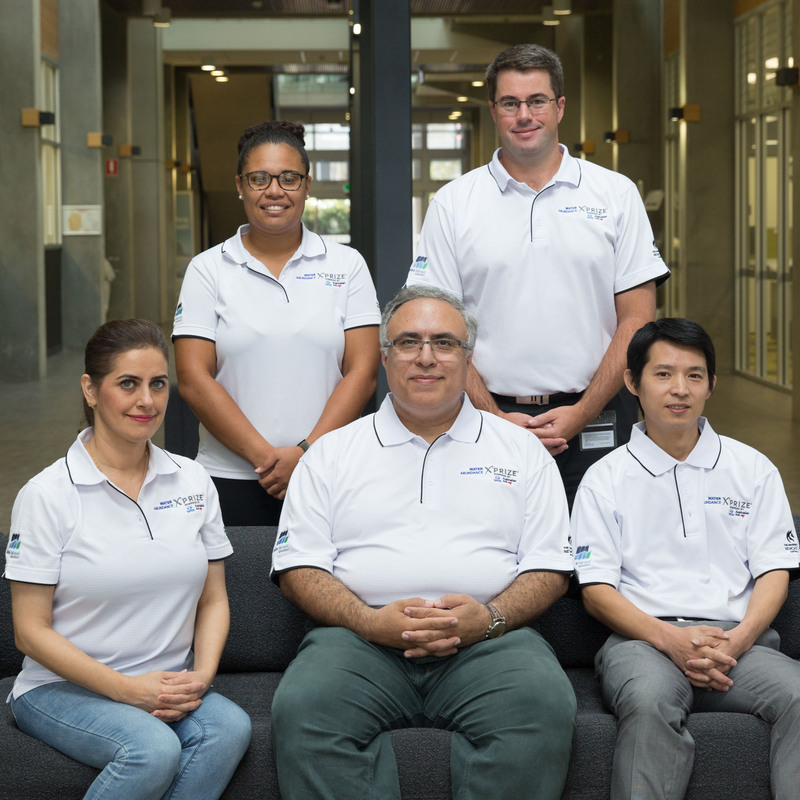 Dr Doroodchi has been recognised as a an expert of international standing by the Australian Research Council (ARC) College of Experts and hence asesses a number of Discovery Projects scheme proposals each year. © 2019 Elsevier Ltd In this article, a unique phase change redox (PCR) system capable of converting surplus electricity to sensible, latent, and thermochemical energy is proposed as an alternative technology for utility-scale energy storage. During the energy charging period, the system utilizes external heat to reduce and melt solid CuO into molten CuO/Cu 2 O at a high temperature in a reduction reactor. The external heat can be provided by Joule heating using the surplus electricity from the power grid or renewable energy plants (solar/wind). In this way, the surplus electricity is stored in the forms of sensible, latent, and thermochemical energy. A high value-added by-product, oxygen, can be produced simultaneously, which further enhances the economic competitiveness of the proposed system. During the energy discharging period, the molten CuO/Cu 2 O is oxidized and cooled in an oxidation reactor using air. In this step, the stored energy is released and transferred to the high-pressure and high-temperature air, which can be further converted into power via an air Brayton cycle coupled with a bottoming organic Rankine cycle. The simulation package, Aspen Plus v10, is used to develop a thermodynamic model of the PCR system, in which its technical performance and influential parameters are examined in details. The simulation study shows that the PCR process can achieve a round trip efficiency of about 50% with an energy storage density of up to 1600 kJ/kg. The parametric analysis reveals that the round trip efficiency of the PCR system is greatly influenced by the compression ratio, while the energy storage density and oxygen production are affected by the temperature and oxygen partial pressure of the reduction reactor. Apart from the simulation study, thermogravimetric analyses on phase change redox cycles are also carried out. The experiment results are found to successfully validate the key energy storage mechanism behind the PCR process, namely the reduction, melting, solidification, and oxidation processes. The reversibility and stability of the PCR process over 10 cycles are found to be excellent with minor degradation and enthalpy changes. © 2018 Elsevier Ltd A three-dimensional hot flow model for simulating the alumina encapsulated Ni/NiO methane-air CLC system is developed. The temperature of particles (i.e., metal/metal oxides) is calculated based on exothermal/endothermal reactions and the convective heat transfer between particles and the gas mixture. The temperature of the gas mixture is solved by incorporating the energy exchange with the oxygen carrier particles into the governing equations. The motion of particles is tracked using the discrete element method, whilst the fluid flow is governed by the modified Navier-Stokes equations derived by replacing the point and fluid mechanical variables with locally averaged variables and the inclusion of local gas volume fraction. Two different CLC systems with different initial particle conversion rates have been simulated and the characteristics of the CLC hot flow system in terms of distributions of particle and gas mixture temperatures, solid circulation rate and particle conversion rate have been analysed and discussed. The results showed that the transient solid circulation rate varied but fluctuated around a certain value. Heterogeneous distributions of particle temperature and conversion rate have been observed in both fuel and air reactors. The model has been validated by comparing the predicted solid circulation rate and pressure distribution against the experimental data. The hot flow model proves capable of reproducing the CLC mechanism, i.e., transferring oxygen atom from the air reactor to the fuel reactor. © 2015 Elsevier B.V. A novel slag carbon arrestor process (SCAP) was proposed to improve the heat recovery in energy-intensive steelmaking process, which typically has a low heat recovery. The proposed SCAP process introduces a tar reformer to utilise the slag - a by-product from steelmaking process - as the catalyst to convert coke oven gas and tar into hydrogen-enriched fuel gas. This is achieved by making use of the valuable carbon and/or energy contained in the coke oven gas, which otherwise being wasted, to assist in tar reforming and produce hydrogen-enriched gas. Such concept is expected to reduce the undesired tar formation in steelmaking process along with improved heat recovery efficiency and higher quality coke oven gas production. Both simulation and experimental studies on the slag carbon arrestor process were performed. The preliminary thermodynamic analysis carried out using Aspen Plus v8.4 indicates that with the tar reformer the energy content of coke oven gas was found increased from ~ 34.6 MJ/kg to ~ 37.7 MJ/kg (or by 9%). Also, with the utilisation of carbon deposition on the slag, a reduction of up to 12.8% coke usage in the steelmaking process can be achieved. This corresponds to an energy saving of 4% and a carbon emission reduction of 5.7% compared with the conventional steelmaking process. Preliminary experimental TGA-FTIR investigations revealed a reduction in the aromatic and aliphatic hydrocarbon groups and an increase in the production of CO2 and CO, attributed to the tar cracking abilities of slag. © 2017 Institution of Chemical Engineers This study investigates the suitability and effectiveness of La0.5Sr0.5Co0.8Fe0.2O3-d (LSCF5582) membrane for integration into the reduction reactor of a Nitrogen based chemical looping air separation (CLAS) process for exclusive separation of oxygen. First, the structural and chemical characteristics as well as the oxygen separation properties of LSCF5582 membranes, prepared at sintering temperatures of 1050¿1350¿°C, were examined to obtain the optimum range of sintering temperatures resulting in membranes with enhanced oxygen separation from air. This was achieved by determining the oxygen permeation properties of LSCF5582 membranes under the reducing environment of the Nitrogen based CLAS process, whereby oxygen is liberated from CuO oxygen carriers on the feed side of the membrane using nitrogen as a reducing gas. Membrane characterisation results showed that a single phase dense LSCF5582 membrane was formed at the sintering temperature range of 1200¿1225¿°C obtaining a maximum oxygen permeation flux of 0.67¿ml¿min-1¿cm-2 and oxygen recovery of 27% at the sintering and operating temperatures of 1200¿°C and 900¿°C, respectively. At the same operating temperature, under the reducing environment of nitrogen, the LSCF5582 membrane sintered at 1225¿°C was found to perform best achieving an oxygen permeation flux and oxygen recovery of 0.77¿ml¿min-1¿cm-2 and 76%, respectively. © 2015 American Chemical Society. This paper is concerned about a detailed techno-economic assessment of a hypothetical 500 MWe coal-fired power plant in New South Wales, Australia, for oxy-fuel conversion using integrated chemical looping air separation (ICLAS) technology and cryogenic air separation unit (CASU). The key objectives of this study are to (i) investigate and compare the detailed integration options for oxy-fuel conversion using ICLAS and CASU and (ii) determine the technical merits of the above integration options and the conditions at which the technologies become economically feasible. The study produced scientific evidence that confirms the viability of the CLAS process from both technical and economic points of view under certain conditions. The detailed technical analysis revealed that ICLAS with natural gas integration is energy-efficient compared to CASU running on parasitic load. This is primarily due to the fact that ICLAS needs less auxiliary power compared to CASU. Despite the fact that ICLAS natural gas integration has resulted in higher efficiencies than CASU running on parasitic load, from a series of detailed economic analyses, it was observed that both ICLAS and CASU may not be viable under the present operating and economic conditions. Nevertheless, from sensitivity analysis, it was concluded that ICLAS can become feasible if economic conditions are improved, e.g., a low natural gas market price (<$3.5/GJ), a high electricity wholesale price (>$59/MWh), and/or a high carbon tax (>$33/tonne). © 2016 Hosokawa Powder Technology Foundation. When a system of identical spheres settles under conditions of negligible surface and inertial forces an idealised form of sediment consolidation unfolds amenable to a universal description. We have described this complex process using a simple constitutive model expressed as an elementary scaling law in time, t, applied at the local particle level. The free-volume surrounding a particle consists of two volume contributions occupied by fluid, one portion fixed and the other portion variable, the latter of which declines with t¿2 . A comprehensive system of analytical equations was derived using this one idea, and associated boundary conditions, to describe all aspects of the batch settling process. An experimental system exhibiting negligible surface and inertial forces was used to validate the model and hence assess the merits of the scaling law. Excellent agreement was achieved. The precise physics responsible for this scaling law, and the applicable boundary conditions, remain unclear at this stage. Hence this work is likely to motivate further work in this area, concerned with the dynamics of random consolidation of settling spheres. © 2016 Elsevier Ltd. All rights reserved. Optimal thermo-physical properties of nanofluids provide an opportunity to overcome energy associated difficulties, in addition to providing new alternatives to catch, store and exchange of energy. A significant reduction in energy consumption is possible by improving the performance of a heat exchanger circuit, and may in part alleviate current energy related challenging issues such as global warming, climate change, and the fuel crisis. The objective of this work is to gain an insight into the overall stability of nanofluids with respect to pH, zeta potential, particle size distribution, and its effect on viscosity and thermal conductivity. For the purpose of this study two nanofluids were selected (water based alumina and copper oxide). Various nanoparticles concentrations as well as anionic surfactants (sodium dodecylbenzene sulfonate) were investigated for their stability, viscosity as well as thermal conductivity. The results clearly showed that nanofluid stability has a strong relation with viscosity and thermal conductivity. The stability of the nanofluid was found to be improved with a decrease in viscosity and an increase in thermal conductivity. © 2016 Elsevier B.V. Theoretical modelling, design and operation of circulating and interconnected fluidized beds require an accurate prediction of solids holdup in the fully developed pneumatic conveying flow regime of the riser (i.e. the upper section of the riser). Existing empirical and semi-empirical solids holdup correlations have exhibited limited accuracy and application range. In this study, an empirical correlation was developed to predict the solids holdup at the upper section of the riser in circulating and interconnected fluidized beds with an improved level of accuracy for a broad range of operating conditions and riser dimensions. The correlation is based on a group of dimensionless quantities, which are typically used to describe the hydrodynamics of gas-solids fluidized beds, taking into account gas and particle properties, riser dimensions, and solid circulation rate. The reduced solids flux phenomenon also has been considered directly by introducing a system dependent exponent in the correlation. The correlation predicted 90% of the experimental data with an average deviation of 15%. The correlation is applicable for particle Reynolds numbers between 3.7 and 366. © 2016 The Society of Powder Technology Japan Gas-solid fluidised beds are widely used in chemical, petrochemical, pharmaceutical, biochemical and powder industries. Particles used in gas-solid fluidised beds often differ in size and/or density, thus have the tendency to segregate under certain operating conditions. The results of our earlier work (Alghamdi et al., 2013) showed that for a given binary mixture, the transition from segregation to mixing occurred when the superficial gas velocity was increased over a critical value. In this study, force analysis at particle scale, including particle-particle, particle-wall and particle-fluid interacting forces, has been performed to investigate the underlying mechanisms that drive the occurrence of the transition. The results showed that as the superficial gas velocity increased, the system exhibited three sequential states: segregated, transition, and mixed. The vertical fluid force acting on the particles was found to be responsible for the occurrence of the transition from segregation to mixing, at which the bulk density of the heavy (small) particle species became smaller than the actual density of the light (large) species. After the occurrence of the transition, the particle collisional effects were dominant over the fluid viscous effects in governing the gas-solid two-phase flow. After the system became mixed, the net force of fluid and particle net weight forces conversely tended to separate the particles. However, the particle dispersion induced by particle collisions counterbalanced the particle segregation, acting as the main mechanism driving the good mixing of the binary particle species. The simulation results were in good agreement with the experimental data. © 2016 Elsevier Ltd. Liquid fluidised beds often operate with particles of different sizes and densities, encountering partial or complete segregation of solid particles at certain operating conditions. In this study, the segregation and dispersion of binary particle species of the same size but different densities in liquid fluidised beds have been investigated based on the analysis of computational fluid dynamics - discrete element method (CFD-DEM) simulation results.The vertical fluid drag force acting on the particles was found to be responsible for the particle segregation. The mechanisms governing the particle dispersion strongly depended upon the solid-liquid two-phase flow regime, which transited from pseudo-homogeneous to heterogeneous when the superficial liquid velocity reached a certain value. In the homogeneous or pseudo-homogeneous flow regime (Rep=40, ¿L, ave=0.74), particle collisions acted as the main mechanism that drove the dispersion of particles. However, after the system became heterogeneous, the magnitude of the vertical collision force decreased towards zero and correspondingly, the magnitude of the vertical fluid drag force was approaching that of the particle net weight force as the superficial liquid velocity increased. Therefore, in the heterogeneous flow regime (Rep>40, ¿L, ave>0.74), the local turbulence of the fluid flow and particle collisions (if there were any) were found to be the main mechanisms that drove the dispersion of particles in all directions. The dispersion coefficient of individual particles varied significantly throughout the system in the heterogeneous flow regime. The simulation results reasonably agreed with the experimental data and the prediction results by existing correlations. © 2015 The Society of Powder Technology Japan. The void fraction of computational cells in numerical simulations of particulate flows using computational fluid dynamics-discrete element method (CFD-DEM) is often directly (or crudely) calculated assuming that the entire body of a particle lies in the cell at which the particle centroid resides. This direct method is most inexpensive but inaccurate and may lead to simulation instabilities. In this study, a modified version of the direct method has been proposed. In this method, referred to as the particle meshing method (PMM), the particle is meshed and the solid volume in a fluid cell is calculated by adding up the particle mesh volume with the basic working principle being the same as that of the direct method. As a result, the PMM inherits the simplicity and hence the computational advantage from the direct method, whilst allowing for duplicating the particle shape and accurate accounting of particle volume in each fluid cell. The numerical simulation characteristics of PMM including numerical stability, minimum particle grid number, prediction accuracy, and computational efficiency have been examined. The results showed that for a specific cell-to-particle size ratio, there was a minimum particle grid number required to reach the stable simulation. A formula of estimating the minimum particle grid number was derived and discussed. Typically, a particle grid number of about 5 times the minimum number was suggested to achieve the best computational efficiency, which was comparable or even higher than that of simulations using the analytical approach. PMM also exhibited the potential to be applied for complex computational domain geometries and irregular shaped particles. © 2015 Elsevier B.V. All rights reserved. Abstract Methanol economy is considered as an alternative to hydrogen economy due to the better handling and storage characteristics of methanol fuel than liquid hydrogen. This paper is concerned about a comprehensive equilibrium thermodynamic analysis carried out on methanol production via an innovative Chemical Looping Carbon Arrestor/Reforming process being developed at the University of Newcastle in order to reduce both energy consumption and carbon emissions. The detailed simulation revealed thermodynamic limitations within the Chemical Looping Carbon Reforming process however on the other hand it also confirmed that the new concept is a low energy requirement and low emission option compared to other methanol production technologies. Specifically, the mass and energy balance study showed that the Chemical Looping Carbon Reforming process typically consumes approximately 0.76-0.77 mole methane, 0.25-0.27 mole carbon dioxide, 0.49-0.50 mole water, and 0.51 mole iron oxide (in a chemical looping manner) per mole of methanol production. Moreover, the energy efficiency of Chemical Looping Carbon Reforming process was found to be ~64-70% and its emission profile was found as low as 0.14 mole carbon dioxide per mole of methanol, which is about 82-88% less than the conventional methanol production process and well below the emission levels of other emerging methanol production technologies. © 2014 American Chemical Society. The larger reactor volume, additional oxygen polishing unit, and carbon stripper for the separation of oxygen carriers and ash in the chemical looping combustion (CLC) and/or chemical looping oxygen uncoupling (CLOU) processes for solid fuels are anticipated not only to incur operational complexity but also to increase the capital and operating costs. As an alternative, this paper proposes a novel hybrid process, called "Chemical Looping Oxy Combustor (CLOC)". This novel process provides an integration of chemical looping air separation (CLAS) with fluidized bed oxy-fuel combustion and is expected to eliminate the need for an additional oxygen polishing unit and carbon stripper. It can be retrofitted to any existing coal circulating fluidized bed (CFB) at low cost. The other advantages of CLOC includes less solid handling issues, flexibility in handling low-grade coal with high moisture, no/less contamination of oxygen carriers, no/less slip of CO2/SOx in an air reactor, low energy penalty, etc. Also, in the CLOC process, coal combustion will occur in a separate fluidized bed combustor with relatively faster kinetics, because of the availability of high oxygen concentration (i.e., ~25-28 vol-"%), which eliminates the need for a larger fuel reactor volume. In the current paper, thermodynamic simulations of CLOC process using Cu-, Mn-, and Co-based metal oxide oxygen carriers were performed. Their performances were also compared against the conventional air-firing and oxy-firing technologies, e.g., oxy-fuel combustion integrated with cryogenic air separation unit (CASU) and CLOU. It was identified that the CLOC process needs external heat for reduction reactor provided by either direct or indirect methane combustion. Moreover, a maximum plant thermal efficiency was achieved for CLOC using Cu-based oxygen carrier. The energy penalty of the CLOC process, compared with the air-firing base case, was found to be ~2%-3%, which is ~4-5 times smaller than those of the CASU cases and only half of that of the CLOU process, indicating that CLOC offers a promising option for the combustion of solid fuels. © 2015 American Chemical Society. An experimental study was conducted to identify the most suitable alumina-supported iron-based oxygen carrier for the abatement of ultralow concentration methane using a chemical looping approach. This was done by evaluating the performance characteristics such as reactivity, cyclic stability, and gas conversion. The experiments were carried out in a thermogravimetric analyzer and a fixed bed reactor setup under the desired conditions. Thermodynamics analysis was carried out using the commercially available software ASPENPLUS. The analysis suggested that the favorable iron-based oxygen carriers were those with the weight content of Fe2O3 less than 50 wt %. Three Fe2O3/Al2O3 samples were therefore prepared with the metal oxide contents in the range of 10-45 wt %, i.e., Fe10Al, Fe25Al, and Fe45Al. The thermogravimetric analysis experimental results showed that the reduction reactivity and stability were improved with the addition of support material compared with unsupported Fe2O3. Moreover, the reduction reactivity varied with the solid conversion range and the weight content of the parent material. For full reduction of Fe2O3 to Fe3O4, the sample Fe10Al showed the highest reduction reactivity. However, in terms of the rate of oxygen transport (which considers the combined effects of the oxygen transfer capacity and reactivity), the highest value was achieved by the Fe45Al sample. The gas conversion of CH4 to CO2 was also quite dependent on the weight content of Fe2O3. Essentially, Fe45Al delivered the longest duration on high-level conversion (i.e., complete conversion of CH4 to CO2). In summary, Fe45Al was found to be the most suitable oxygen carrier candidate in this application. The effect of operational parameters was further examined with various reaction temperatures (873-1073 K), methane concentrations (0.1-1.5 vol %), and CO2 compositions (0-50 vol %). © 2015 Elsevier Ltd. All rights reserved. This paper describes the development of a novel stone dust looping process that relates to the removal of ventilation air methane using stone dust. The working principle behind the stone dust looping process is incredibly simple which involves the catalytic oxidation of methane followed by carbonation and calcination reactions. In the current work, laboratory scale fluidized bed experiments and process simulations were conducted to evaluate the feasibility of the stone dust looping process. The experimental work concluded that oxidation of ventilation air methane in the stone dust looping process can be successfully achieved at temperatures between 500 and 650 °C. The experimental results indicated that oxidation of methane was found to increase at higher temperatures while carbon dioxide capture efficiency showed a declining trend with increasing temperature. Furthermore, higher methane conversion and optimum (thermodynamic) carbon dioxide capture efficiency were observed for lower ventilation air methane flow rates and higher bed inventory. The concentration of methane in ventilation air methane and stone dust particle size did not have a significant effect on methane conversion or carbon dioxide capture. Also, comparison with synthetically prepared CuO and Fe<inf>2</inf>O<inf>3</inf> catalysts has been made with CaO for VAM oxidation. CaO was found to be comparable to Fe<inf>2</inf>O<inf>3</inf> and superior to CuO. From the process simulations, it was concluded that thermal energy generation in the carbonator was increased with higher methane and carbon dioxide concentrations. However, at the same time for higher methane and carbon dioxide concentrations, a greater CaO flux was required in the carbonator and hence a larger amount of goaf gas was required for the calcination reaction. The higher thermal energy generation in the carbonator was expected to improve the autothermicity of the stone dust looping process at concentrations of methane in the ventilation stream < 0.2 vol.% (thermodynamic limit). © 2015 Elsevier Ltd. Abstract Greenhouses typically employ conventional burner systems to suffice heat and carbon dioxide required for plant growth. The energy requirement and carbon dioxide emissions from fossil fuel burner are generally high. As an alternative, this paper describes a novel greenhouse calcium looping process which is expected to decrease the energy requirements and associated carbon dioxide emissions. The conceptual design of greenhouse calcium looping process is carried out in the ASPEN Plus v 7.3 simulator. In a greenhouse calcium looping process, the calcination reaction is considered to take place during day time in order to provide the required optimum carbon dioxide between 1000 and 2000 ppm, while the carbonation reaction is occurred during night time to provide required heat. The process simulations carried out in ASPEN indicates that greenhouse calcium looping process theoretically attributes to zero emission of carbon dioxide. Moreover, in a scenario modelling study compared to the conventional natural gas burner system, the heat duty requirements in the greenhouse calcium looping process were found to reduce by as high as 72%. © 2014 American Chemical Society. Fe2O3/Al2O3 is found to be a suitable oxygen carrier candidate for the chemical looping combustion with ultralow methane concentration in a previous study by our team. In order to facilitate the fundamental reactor design and understand the energy consumption, the reduction kinetics mechanism of Fe2O3 (hematite) with 0.5 vol % CH4 was determined and the kinetic parameters were estimated based on the thermogravimetric analysis. Two oxygen carriers (i.e., Fe25Al and Fe45Al) were prepared and used in the TGA experiment. It was observed that the reduction of Fe2O3 was a two-steps process. Initially, Fe2O3 is transformed into Fe3O4 (magnetite) at a fast reaction rate and followed by a slow step corresponding to the reduction from Fe3O4 to FeAl2O4. A topochemical approach associated with Hancock and Sharp&apos;s method was therefore applied to determine the most suitable kinetic model for the reduction process. It was found that the initial fast step can be described by the Avrami-Erofe&apos;ev phase change model, the A2 model for low conversion, and the A3 model for high conversion, whereas the reaction for the second step was in diffusion control. It also can be concluded that within the Fe2O3 content of 25-45 wt %, there is no difference on the reduction kinetic mechanism and similar activation energy was obtained, which can be comparable with the findings in the literature. © 2014 The Institution of Chemical Engineers. In a chemical looping combustor (CLC) system, the solid circulation rate (SCR) is a key parameter that determines the design, operating conditions and the overall efficiency of the system. In the present work, the gas-solid flow of a CLC cold flow model (10kWth) has been simulated by the computational fluid dynamics-discrete element method (CFD-DEM). The results showed that the SCR at different locations of the system fluctuates with time with different amplitude, and the variation of SCR is periodically stable. The turbulent gas-solid flow regime in the air reactor was found to be the main mechanism driving the fluctuation of SCR and determined the fluctuation frequency and amplitude. The SCR increased with the flow rates of air/fuel reactors and loop seals, and the total solid inventory. Changes in operating conditions directly induced the change in the mass of solids that were entrained into the riser from the air reactor and how fast the solids were transported therein. A correlation was subsequently proposed to describe the SCR as a function of solid hold-up and gas flow velocity in the riser. The particle residence time decreased in a power law as the SCR increased. Reasonable agreements were obtained between simulations and experiments in terms of solid distribution, gas-solid flow patterns, pressure drop profiles and SCR. © 2014 The Society of Powder Technology Japan. Published by Elsevier B.V. and The Society of Powder Technology Japan. All rights reserved. The success of many industrial processes largely depends on the structural characteristics of aggregates. In intensive aerobic digestion process for wastewater treatment applications, the structural characteristics namely aggregate shape, size and therefore the aggregate surface area strongly influence the transfer of dissolved oxygen from the aeration process to aggregates of harmful contaminants/microorganisms. The aim of this study was to apply Discrete Element Modelling (DEM) techniques to the aggregation of suspended particles (microorganisms) to quantify the available surface area for convection and diffusion as a function of particles number concentration and surface charge. The simulation inputs included particle and fluid characteristics such as particle size and density, solid concentration, suspension pH and ionic strength. A post processing method based on the Go-chess concept was developed to quantify the surface area of aggregate structure. The simulation results showed that whilst an increase in connection points increases the total surface area of the aggregate, this does not necessarily translate into an increase in the surface area available for oxygen transfer as combinations of open and close pores are formed. Aggregate surface area was directly determined by aggregate structural characteristics, and increased rapidly when the coordination number was below 3.5 and the fractal dimension was less than 1.5. A correlation for prediction of aggregate external surface area was also proposed as a function of aggregate structural characteristics in terms of fractal dimension and coordination number. © 2015 Elsevier B.V. In chemical looping combustion systems, accurate measurement of the solid circulation rate (SCR) is crucial for optimising the system performance. Conventionally, the SCR is predicted using the riser total pressure drop leading to an overestimation of up to 70%. In this work, a model has been proposed for the SCR prediction using the pressure drop at the top section of the riser. The height of this top section was determined by the riser gas-solid flow characteristics, namely, the axial solid holdup profile and lateral solid flux profile. A kinematic model was developed to predict the axial solid holdup profile and the reduced solid flux model developed by Rhodes et al. (1992) was employed to predict the mass fraction of upwards flowing solids. The prediction results of the proposed model were validated against the experimental data obtained in this work and those reported in the literature, where the prediction accuracy of SCR was significantly improved (by up to 60%) with a deviation of around 15%. The correct calculation of cell void fraction is pivotal in accurate simulation of two-phase flows using a computational fluid dynamics-discrete element method (CFD-DEM) approach. Two classical approaches for void fraction calculations (i.e., particle centroid method or PCM and analytical approach) were examined, and the accuracy of these methodologies in predicting the particle-fluid flow characteristics of bubbling fluidized beds was investigated. It was found that there is a critical cell size (3.82 particle diameters) beyond which the PCM can achieve the same numerical stability and prediction accuracy as those of the analytical approach. There is also a critical cell size (1/19.3 domain size) below which meso-scale flow structures are resolved. Moreover, a lower limit of cell size (1.63 particle diameters) was identified to satisfy the assumptions of CFD-DEM governing equations. A reference map for selecting the ideal computational cell size and the suitable approach for void fraction calculation was subsequently developed. © 2014 American Institute of Chemical Engineers. In a liquid fluidised bed system, the motion of each phase is governed by fluid-particle and particle-particle interactions. The particle-particle collisions can significantly affect the motion of individual particles and hence the solid-liquid two phase flow characteristics. In the current work, computational fluid dynamics-discrete element method (CFD-DEM) simulations of a dense foreign particle introduced in a monodispersed solid-liquid fluidised bed (SLFB) have been carried out. The fluidisation hydrodynamics of SLFB, settling behaviour of the foreign particle, fluid-particle interactions, and particle-particle collision behaviour have been investigated. Experiments including particle classification velocity measurements and fluid turbulence characterisation by particle image velocimetry (PIV) were conducted for the validation of prediction results. Compared to those predicted by empirical correlations, the particle classification velocity predicted by CFD-DEM provided the best agreement with the experimental data (less than 10% deviation). The particle collision frequency increased monotonically with the solid fraction. The dimensionless collision frequency obtained by CFD-DEM excellently fit the data line predicted by the kinetic theory for granular flow (KTGF). The particle collision frequency increased with the particle size ratio (dP2/dP1) and became independent of the foreign particle size for high solid fractions when the fluidised particle size was kept constant. The magnitude of collision force was 10-50 times greater than that of gravitational force and maximally 9 times greater than that of drag force. A correlation describing the collision force as a function of bed voidage was developed for Stp>65 and dP2/dP1=2. A maximum deviation of less than 20% was obtained when the correlation was used for the prediction of particle collision force. © 2014 Elsevier Ltd. The chemical looping air separation (CLAS) is a novel method for producing high-purity oxygen, which can be effectively integrated to oxy-fuel power plants. CuO/Cu2O, Mn2O3/Mn3O 4, and Co3O4/CoO have been found to be the most thermodynamically suitable oxidation pairs for the CLAS process. In the current study, the reactivity and stability of these metal oxides were analyzed further. A total of six different oxygen carrier samples were prepared by the dry impregnation method on SiO2 and Al2O3 supports. Their redox behavior has been investigated in a thermogravimetric analyzer (TGA) at four different temperatures, i.e., 800, 850, 900, and 950 C, where the temperature-programmed oxygen release and oxidation were applied for 5 continuous cycles using nitrogen and air, respectively. The results indicate that, although relatively all oxygen carriers exhibited good reactivity, CuO/Cu2O with SiO2 and Co3O4/CoO with Al2O3 were found to be most stable. Furthermore, oxygen transport capacity (OTC) (%) and rate of oxygen transport (ROT) (% min-1) were calculated. It was found that Cu oxide with SiO 2 has the highest OTC of 4.77% as well as the highest ROT of 5.1 and 10.9% min-1 for oxygen release and oxidation, respectively, at 950 C. The CuO/SiO2 oxygen carrier also exhibited better stability for the 41 continuous cycle test, with only 10.3% loss in OTC compared to 22.3% for Co3O4/Al2O3. The grain size growth was found to be the key cause in the loss of OTC. The oxygen concentration in the outlet stream for the CuO/SiO2 oxygen carrier was measured in packed-bed experiments at different temperatures. It was observed that the oxygen concentration at the outlet of the reactor was consistent with the equilibrium values at studied temperatures. © 2014 American Chemical Society. Release of fugitive methane (CH) emissions from ventilation air in coal mines is a major source of greenhouse gas (GHG) emissions. Approximately 64% of methane emissions in coal mine operations are the result of VAM (i.e. ventilation air methane) which is difficult for use as a source of energy. A novel ancillary utilization of VAM was thereby proposed. In this proposal, the VAM was utilized instead of air as a feedstock to a chemical looping combustion (CLC) process of coal. In this case, FeO/FeO particles were shuttled between two interconnected reactors for combustion of syngas produced by an imbedded coal gasifier. The effect of VAM flow rate and methane concentration on the performance of CLC was analyzed thermodynamically using Aspen Plus software. Results indicated that the variations of air reactor temperature with VAM flow rate and methane concentration can be minimized as expected. The effect of temperature and inlet methane concentration on the conversion of CH was examined experimentally in a fixed bed reactor with the presence of particles of FeO/AlO. Not surprisingly, the reaction temperature put a significant influence on the conversion of CH. The conversion started at the temperature about 300 °C and the temperature to achieve full conversion was around 500 °C while the temperature in empty reactor between 665 °C and 840 °C. This is due to the catalytic effect of oxygen carriers (i.e. FeO/AlO) on the conversion of methane. Moreover, it was observed that the methane conversion rate decreased with the increase in inlet methane concentration while increasing with FeO loading content. © 2014 Elsevier Ltd. All rights reserved. In this study the transition from homogeneous to heterogeneous flow in a solid-liquid fluidized bed (SLFB) is examined both experimentally and numerically. The experimental apparatus comprised a refractive index-matched SLFB, comprising 5. mm diameter borosilicate glass and sodium iodine solution, which allowed for both instantaneous particle image velocimetry of the liquid flow field and solids hold-up measurements to be undertaken for superficial liquid velocities in the range of 0.06-0.22. m/s. The motion of individual, spherical steel balls (with diameters 6, 7, 8, 9. mm) was then tracked as it settled through the fluidized bed for differing superficial liquid velocities. It was observed that, for all the steel balls covered in this work, there was a change in slope in their respective classification velocity curves at a superficial liquid velocity of 0.08. m/s. This value was very close to the critical velocity of 0.085. m/s predicted from 1-D linear stability analysis; and therefore deemed to be the critical condition that marked the transition from homogeneous to non-homogenous flow. It is proposed that the change in slope of the classification velocity curve is due to the encounter of the settling foreign particles with liquid bubbles whose presence marks the onset of heterogeneous flow. Additional computational analysis, involving both Eulerian-Eulerian (E-E) and Eulerian-Lagrangian (E-L) approaches, is used to confirm the presence of liquid bubbles at a critical liquid hold-up of 0.54, which corresponds to that predicted from 1-D linear stability analysis. In summary, the study has highlighted that experimentally the transition condition for a SLFB can be obtained simply by observing the behavior of the classification velocity of a single foreign particle at different superficial liquid velocities. This transition condition was found to agree with the 1D linear stability criterion, Eulerian-Eulerian CFD (3D) and Eulerian-Lagrangian DEM (3D) approaches. © 2014 Elsevier B.V. Performance of chemical looping combustion processes can be improved drastically by enhancing the overall redox characteristics of the system through the use of binary mixtures of oxygen carriers. However, binary mixtures of oxygen carrier particles are often found to differ in both size and density and therefore have the tendency to segregate under certain operating conditions.In this work, a numerical study was conducted to investigate the mixing and segregation behaviour of binary mixtures of particles with different sizes and densities in a bubbling fluidized bed under conditions pertinent to the fuel reactor of a cold flow model (i.e. a non-reacting replica) of a 10kWth chemical looping combustor. The motion of particles was tracked individually by discrete element model (DEM), whilst the gas flow was modelled by computational fluid dynamics (CFD). Gas-particle interactions were considered by a two-way coupling method. Further, a modified version of Lacey&apos;s method was developed to calculate the mixing index, taking into account both the heterogeneity of solids spatial distribution and particle size differences.Results showed that the modified Lacey&apos;s method provided very consistent and stable mixing indexes, proving to be effective for an in-situ quantitative description of mixing. It was also found that as the size ratio of the binary mixture of particles reduced, the mixing index increased indicating better mixing conditions. The agreement between the DEM/CFD model predictions and the experimental data was found to be satisfactory. The optimum conditions for mixing of binary mixtures appeared to be a function of bubble size, bubble rising rate and bubbling dynamics (e.g., splitting and coalescence). Application of the DEM/CFD model for prediction of layer inversion phenomenon in gas-solid fluidized beds was also demonstrated. © 2012 Elsevier B.V. This study experimentally investigates the application of a solid-liquid micro-fluidised bed as a micro-mixing device. The experiments were performed in a borosilicate capillary tube with an internal diameter of 1.2. mm (i.e. near the upper-limit dimension of a micro-fluidic system) using borosilicate particles with a mean diameter of 98 µm. Refractive index matching technique using sodium iodide solution was employed to achieve a transparent fluidised bed. Mixing performance of the micro-fluidised bed in terms of mixing time was investigated using a dye dilution technique. Experiments were carried out in the creeping flow regime at Reynolds numbers ranging between 0.27 and 0.72. It was demonstrated that the micro-fluidised bed mixing time sharply decreases as the Reynolds number increases. That is because at relatively high Reynolds numbers, the particle oscillation is stronger creating larger disturbances in the flow. The energy dissipation rate in micro fluidised bed was estimated to be four orders of magnitude less than other passive micro mixers which operate in the turbulent regime. It was also demonstrated that the ratio of mixing time and the energy dissipation rate for fluidised bed micro-mixer was comparable to K-M, Tangential IMTEK, and interdigital micro-mixers. However, the fluidised bed micro-mixer was found to operate at much lower Reynolds numbers compared to other passive mixers, with a mixing time of the order of few seconds. © 2013 The Institution of Chemical Engineers. In a typical chemical looping combustion process, the oxygen for fuel combustion is supplied by circulating metal based oxygen carriers between two interconnected fluidised bed reactors. The redox characteristics of oxygen carriers and hence the overall performance of the process can be significantly improved by utilising binary mixtures of oxygen carrier particles. The full potential of such multi-species particle systems however can be only realised when particles segregation is minimised. This study is concerned with gaining an understanding of the mixing and segregation behaviour of binary mixtures of oxygen carrier particles with different sizes and densities in a cold flow model representing a 10. kWth chemical looping combustor. The hydrodynamics of such systems were investigated and compared with a typical chemical looping combustion process where single species are used. This was followed by investigating the solids mixing and segregation behaviour in terms of segregation intensity and species weight percentage at each reactor as a function of operating parameters. It was shown that increasing the total solid inventory, particle terminal velocity ratio, composition, and air reactor superficial velocity increases the riser pressure, solid circulation rates, and riser solid holdup. Mixing and segregation regimes of the fuel reactor and the component segregation between the two reactors were also mapped. The results showed that, for mixtures of species with low terminal velocity to high terminal velocity ratios of greater than 0.7, a good mixing in the fuel reactor can be achieved by maintaining the superficial gas velocity to the mixture minimum fluidisation velocity ratio above 5. For the tested conditions, the component segregation between the two reactors was avoided by maintaining the ratio of the riser superficial velocity to the terminal velocity of the species with a high terminal velocity between 1.25 and 2. © 2013 Elsevier B.V.
A new clean energy system launched today will demonstrate cost savings in electricity generation for remote mining and industrial sites and rural communities.